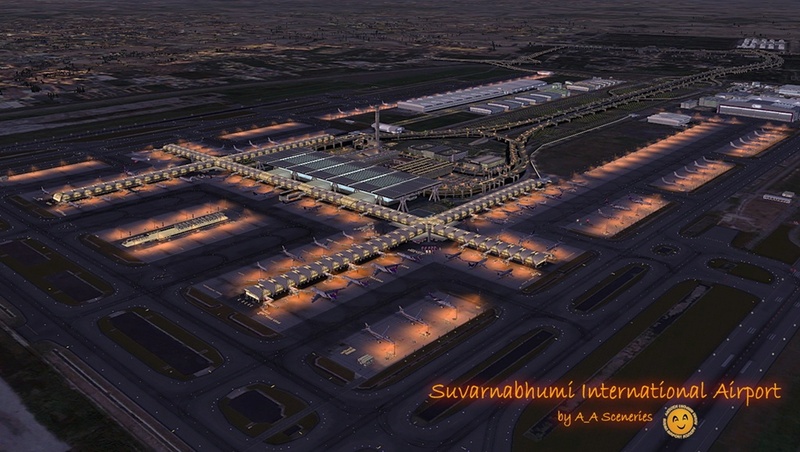 The name “Suvarnabhumi” means “The golden land” or the land of abundance. 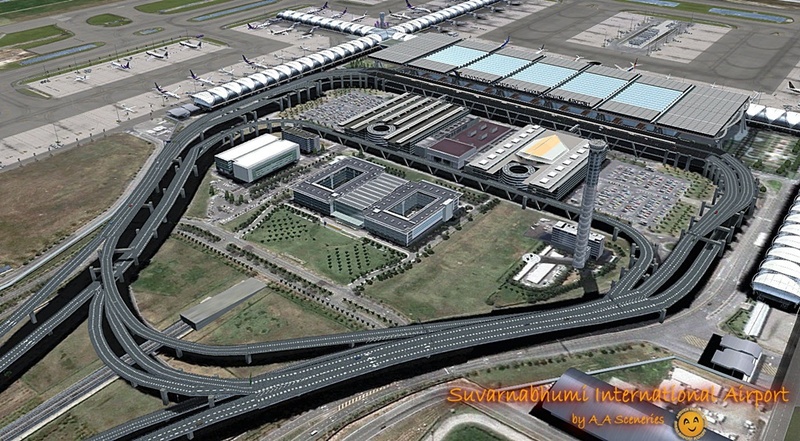 Suvarnabhumi back to the Budda Era means the southeast Asia. 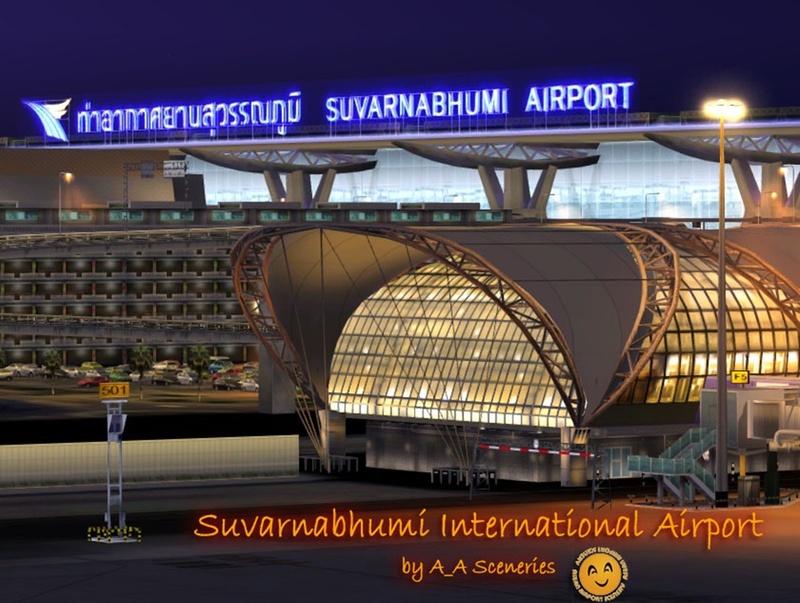 This name was given by the King Bhumiphol (King Rama IX) to the new airport that replaces Don Maung Airport. This is the gateway to Thailand. The airport project was first established in 1973. Finally after years of waiting, it was officially open in 29th September 2006. Murphy/Jahn Architects designed this airport with glass walls, metal frames and canvas. The airport has 2 parallel runways. 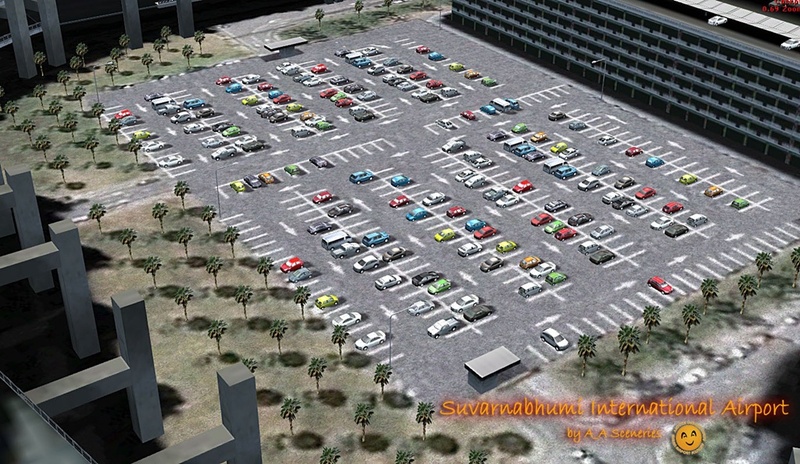 It has a total of 120 parking bays (51 with contact gates and 69 remote gates). 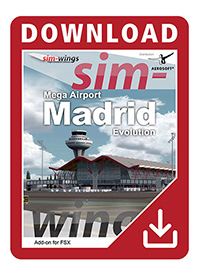 This airport is not available in default FSX because it was opened after the release of the game. 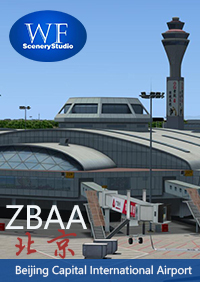 This scenery is just for FSX Acceleration and Prepare3D only. This scenery is brand new and made with the recent knowledge of scenery making to optimize the frame rate to be as good as possible. Main terminal and concourses was made in detail including 3d metal frames. 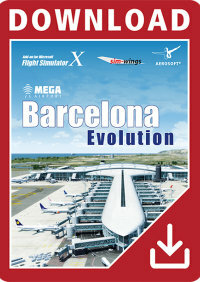 All the parts has been design to make frame rate better than any other previously released versions of this airport. There is no interior structures in this version. Unnecessary details were discarded to make frame rate at its best. Yet, the outside details that you can see from the aircraft you flying are magnificent. Jetways were made in detail but only static ones are provided. Photoscenery was used for the whole area of the airport. Unfortunately, the maximum resolution of satellite image in this region is about 60 cm/pixel. Custom made lines, taxiway and runway. Those are made with fully optimized texture. Frame rate is much better than previous version. FSX style surfaces cover on asphalt runway and taxiway. Rain effect and some light reflection are visible. Real 3D grass changes its color through the season. Custom made 3d taxiway edge lights with new technique. Less impact on frame rate from almost 4000 lights. Light splash for the entire light poles, illuminate the entire airport with realistic night light. Runway guard lights to all runway holding points. Visual Guide Docking System provide guide when parking to the contact gate. 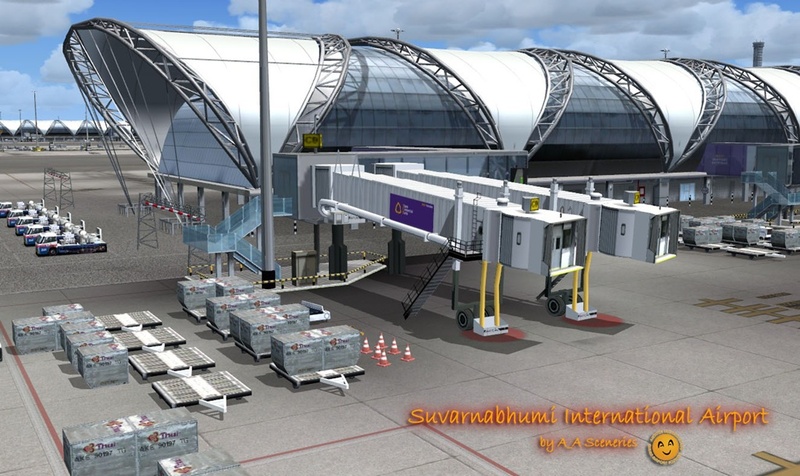 Animated Thai Maintenance Hangar doors. You can open them by dial Nav2 to 112.00. Real 3d cars in the parking lot. The models are custom made and available in Thailand. Service vehicles in FSX have some good features but we cannot change the livery for only one airport. 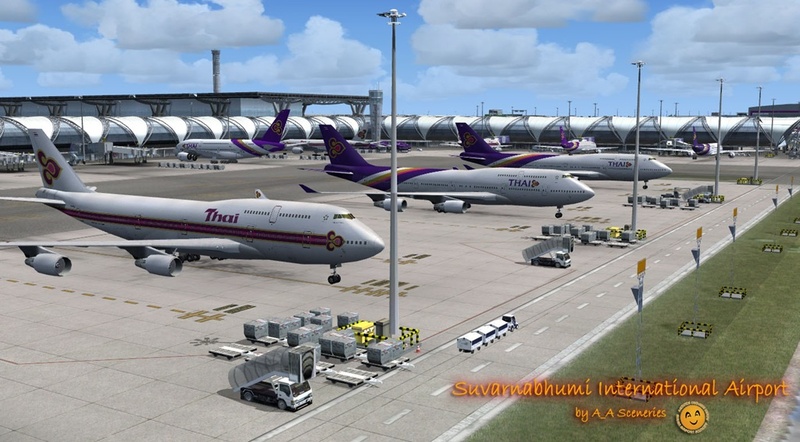 We have made some animated vehicles for this airport of which are Thai Airways livery. However, today technology is still not possible to make this vehicle recognize your aircraft and wait for you. They will continue running on their path without crash. 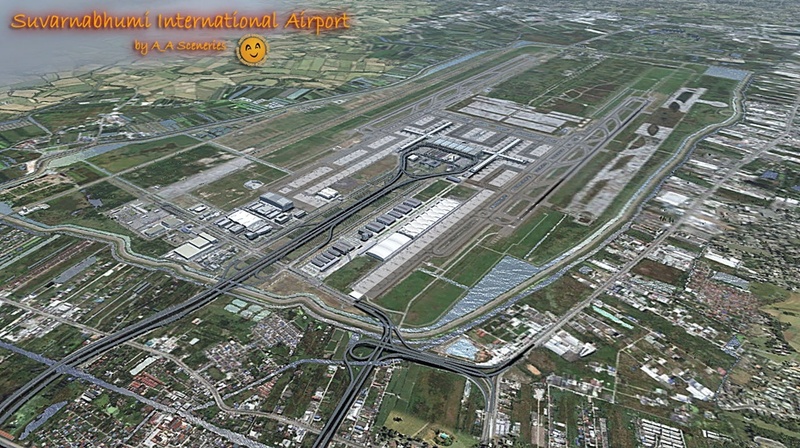 Since this airport is not available in FSX, so there is no AI by default. You need to download AI for this airport. Or redirect the AI you have to this airport. Download is available from your customer account. Update earlier review about the stutter issue when approaching RW19..support responded within reasonable timeframe and provided remedy and stutter issue is resolved by removing one photoscenery file of buildings. Airport and terrains still look great and less the irritating micro stutter issue. Sceneries are gorgeous.. but experience bad micro stutters every time on approach right down to landing. Night being worst than day especially view from wing. 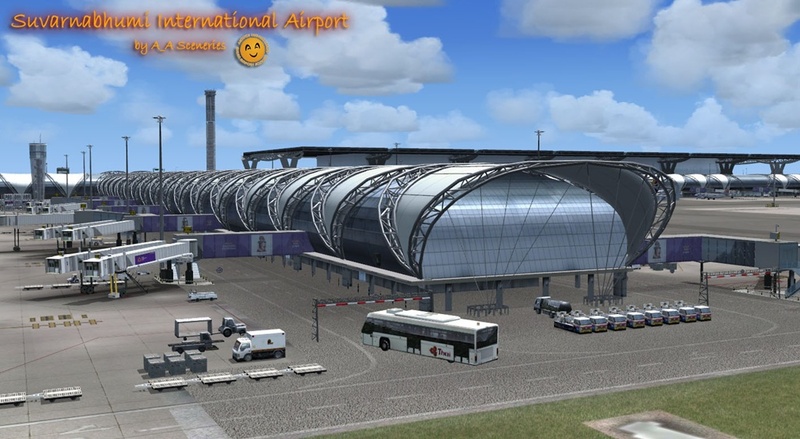 Suspect some of the custom buildings or texture leading to the airport causes the stuttering.. Fantastic detail and perfect frames, one of the best airport addons I have, and I have a lot. 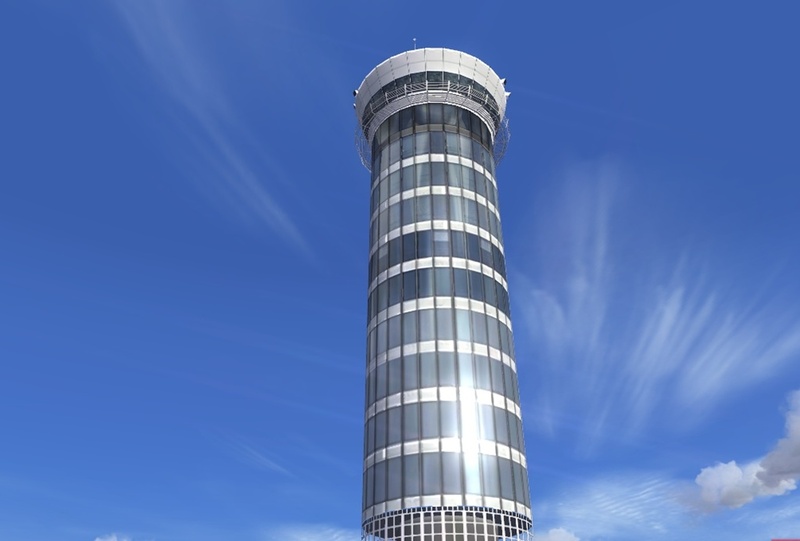 This sits up there in the big leagues with any FLyTampa or Aerosoft product available today. Excellent scenery. Frame rates do take somewhat a hit and I have a very powerful machine. But detail is very nice. Great job, love flying into VTBS. One of the best scenery! A_A Sceneries have really out some time into this. Extraordinary! Great scenery, very detailed but very hard of FPS. Great scenery! Excellent support! If you have problems with error in FSX, please write to support for help. I have had this scenery for a little over a year now and have had hundreds of flights to and from it. The scenery is very detailed and includes the surrounding city and motorways. The FPS on my rig is pretty good even with high traffic and autogen so I think it is very well optimized. The night lighting is also one of my favorite parts of this scenery, it looks very lifelike and lights the whole airport well. The animated vehicles such as THAI shuttles are also a nice touch and adds a feeling of a busy airport. 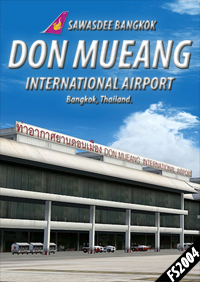 I also have the recently released Don Mueang Intl by Thai Creation and they both work well together and complete Bangkok. 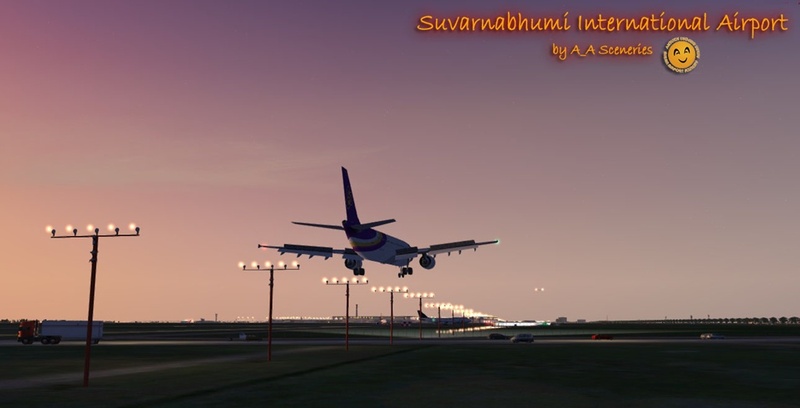 Tic really did a great job with VTBS, I'll be flying into Bangkok more often now. I followed the progress of this software on a development site and the hours, weeks and months of work that went into the detail which makes this scenery so outstanding. Looks great at night. 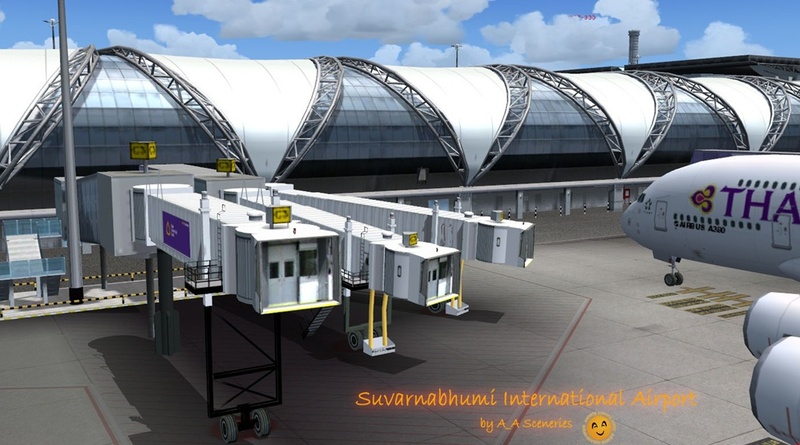 I cant fault the overall airport software, If i had to be picky, I would have liked to see buildings around Bangkok like i had on a old freeware airport software, But the software is Bangkok airport and not Bangkok city. Highly recommend it for those who usually visit this one of major hub in Asia. Terminal Building is nice and friendly FSP withal. I have tested it by loading my NGX in VC and get around 20-25. In addition, it has the fabulous night treatment on the terminal side. Generally good detail. However, I would have expected better FPS.... Other than that, this addon is great value for money. I am awaiting AES Support. Dual Core 2.53 Ghz RAM 2GB, Graphic card 512 Mb to 1G.